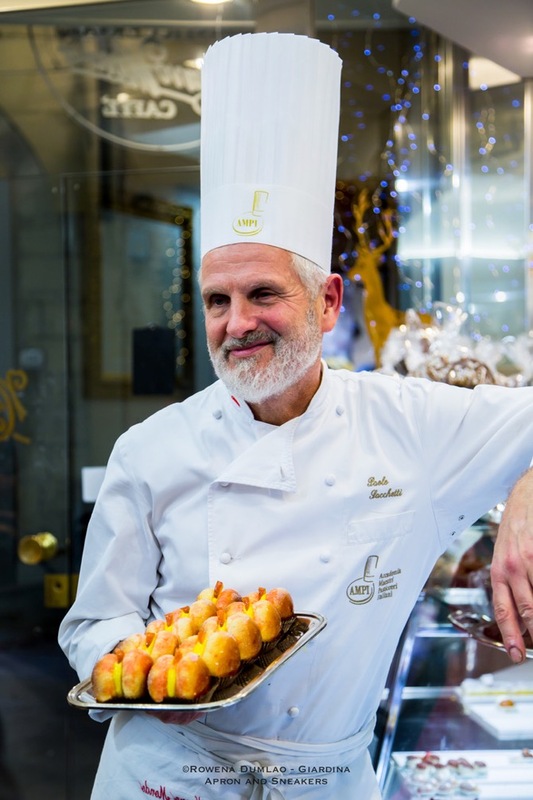 Pastry Chef Paolo Sacchetti, Vice President of the Accademia Maestri Pasticceri Italiani, has been operating his pastry shop, Pasticceria Nuovo Mondo in the center of Prato since 1989. 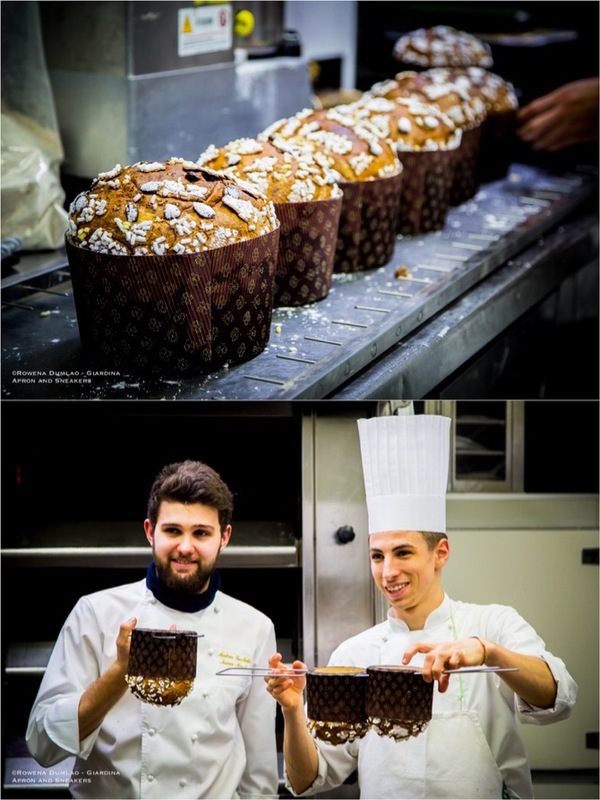 In the course of 30 years, it had always been considered as one of the best on national level and and it has been awarded “3 torte or cakes” by the Guida delle Pasticcerie d’Italia (Guide of Pastry Shops in Italy). 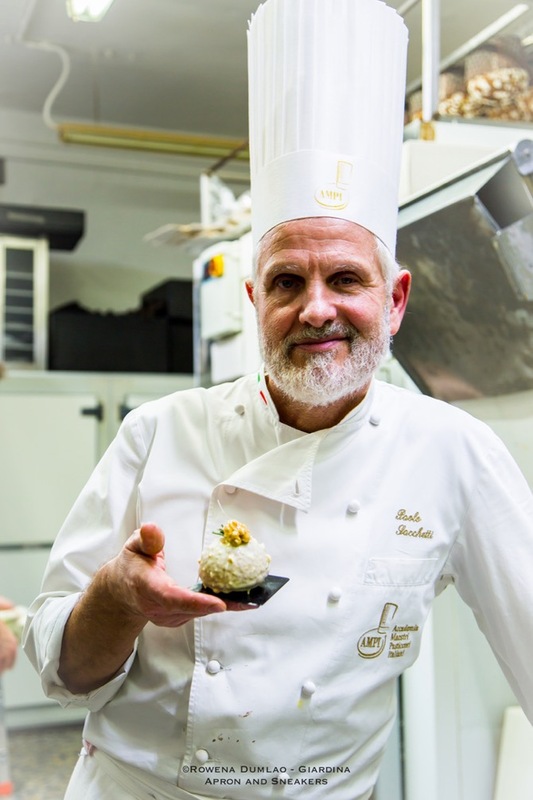 Tuscan by birth, he has always brought the Italian gastronomic tradition to the topmost importance with respect to the optimum quality, seasonality of ingredients and taste, always in line with the statutes of the Accademia Maestri Pasticceri Italiani. 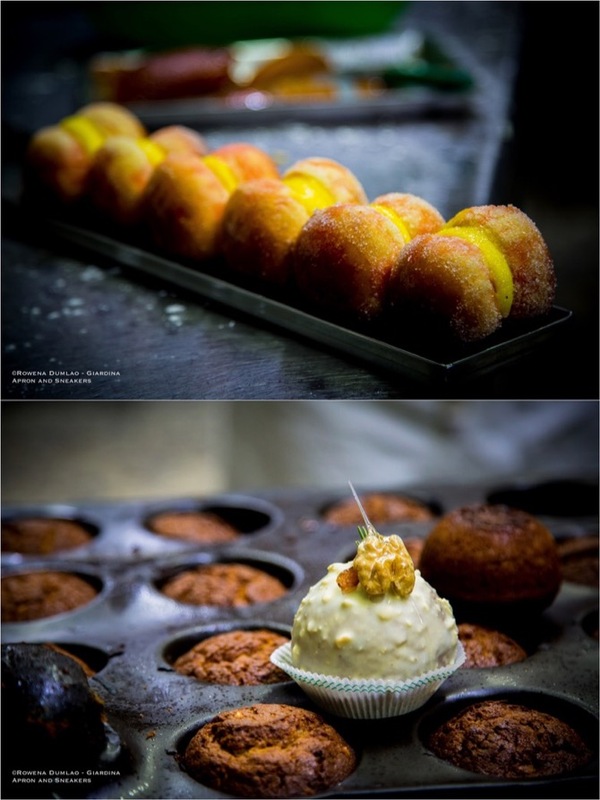 Paolo has always been in love with pastry making ever since he was a child. At the kitchen of his aunt, he learned the ropes of kneading and baking at a very young age. The road he has taken in pastry making has been a long one and still, there are a lot of recipes to discover and experiment on. 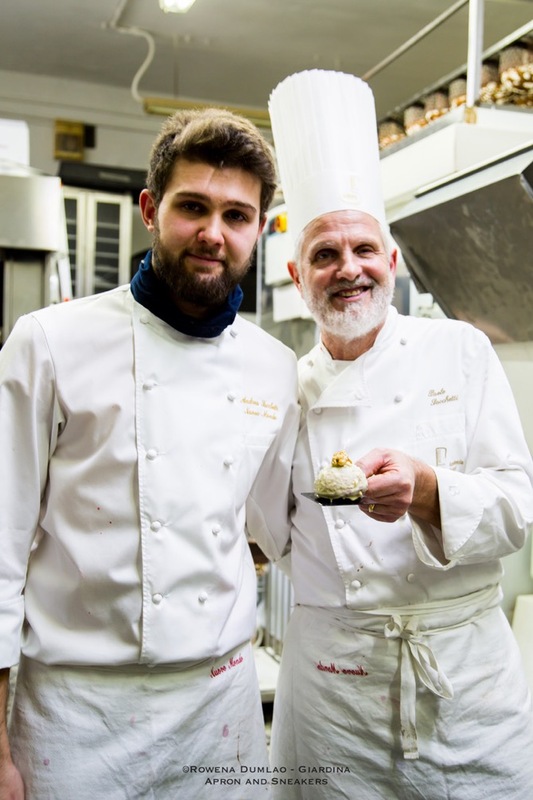 This time, it’s alongside his son Andrea, who, at his early twenties is already adept in creating excellent pastries and cakes under the tutelage of his father and precedent to that, from Italy’s Master Pastry Chef Iginio Massari. 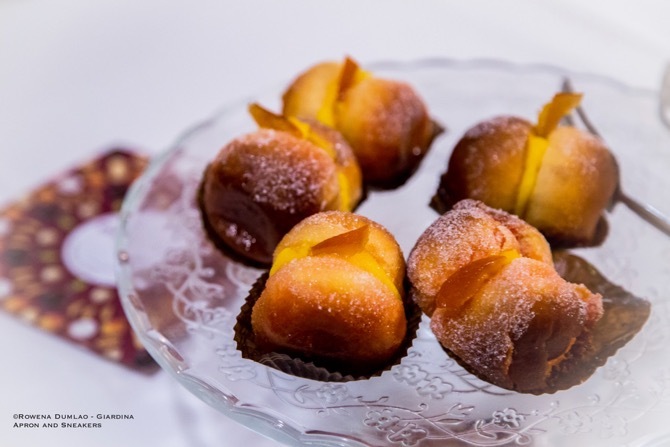 At the pastry shop, you can find baked products, all made at their laboratory, from breakfast pastries to cakes, biscuits, pastries, jams, including bottled zabaione with vin santo and the historical 19th century Pesche di Prato. 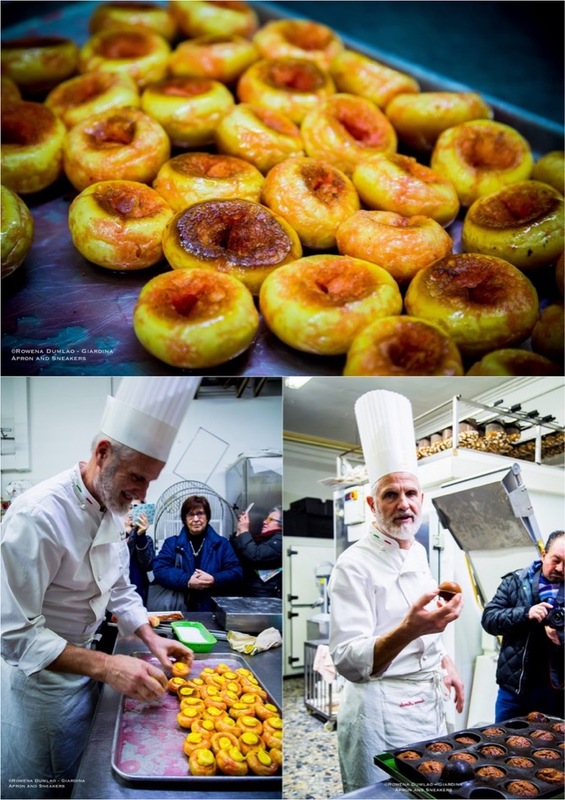 For Eat Prato Winter 2018, an annual event in the city of Prato, Paolo Sacchetti created pastry called Montagnaccio Gentile, a revisited and refined mono-portion version of the ghirighio or castagnaccio. 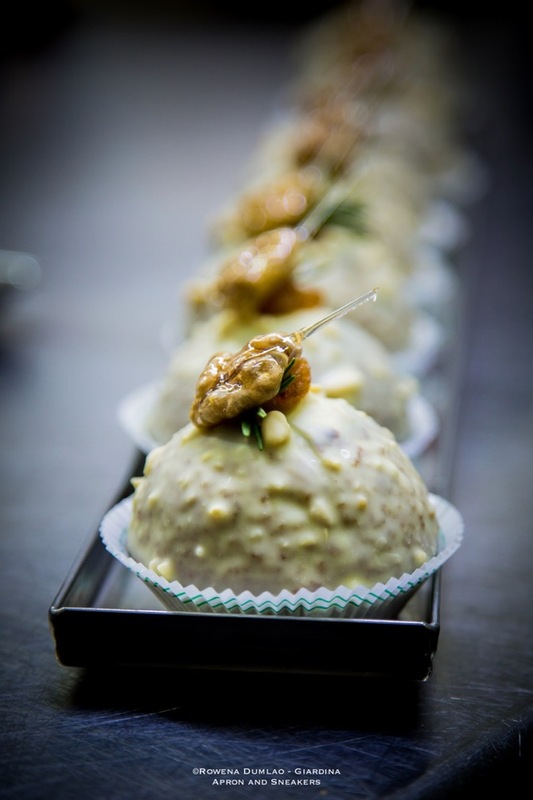 It is spherical dedicated to the Appenine landscape that surrounds Prato and white with silvery reflections to symbolize winter and topped with caramelized walnut. Inside, it is soft and brownish for the chestnut flour used, with raisins, pine nuts and extra virgin olive oil of Bacchereto.